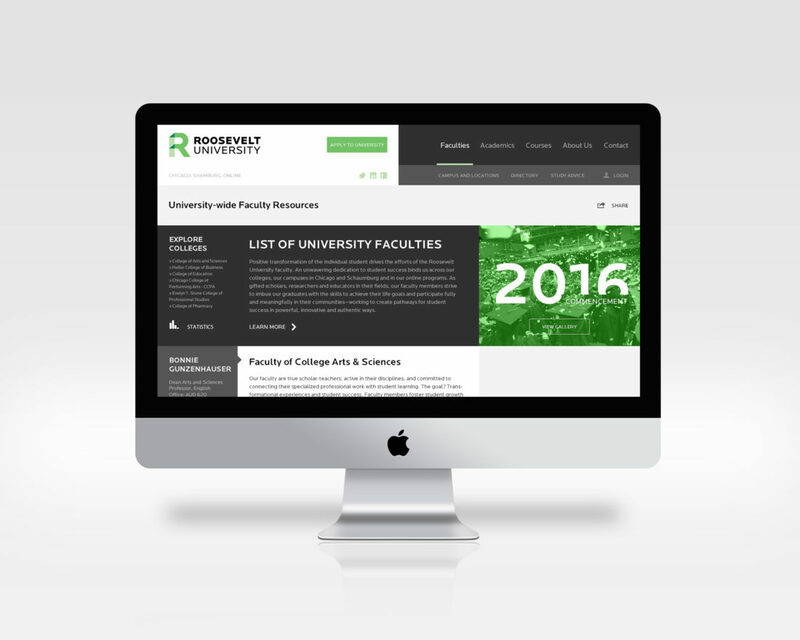 UI/UX mobile and web design for Roosevelt University located in Chicago, IL. The mobile application utilizes the University’s famously unique architecture of the Wabash Building as the backdrop for the springboard navigation. The “glass-like” icons making up the landing page springboard represent the various functionalities available to users. These options include “alerts, athletics, blackboard access, school calendar, computer lab availability and booking, daily menus, full-staff directory access, direct email capabilities, specially customized indoor maps of each floor in Chicago’s Wabash and Auditorium Buildings, Laundry machine reservations, Library information and access to research guides, Map to all campus buildings with pinpointed locations, live news stream of local and university stories, University photostream feed, class registration capabilities, course schedule adjustment capabilities, live social media stream of the University’s Facebook and Twitter posts, University video archive, and the direct ability to call both the Chicago and Schaumburg campuses with one tap. 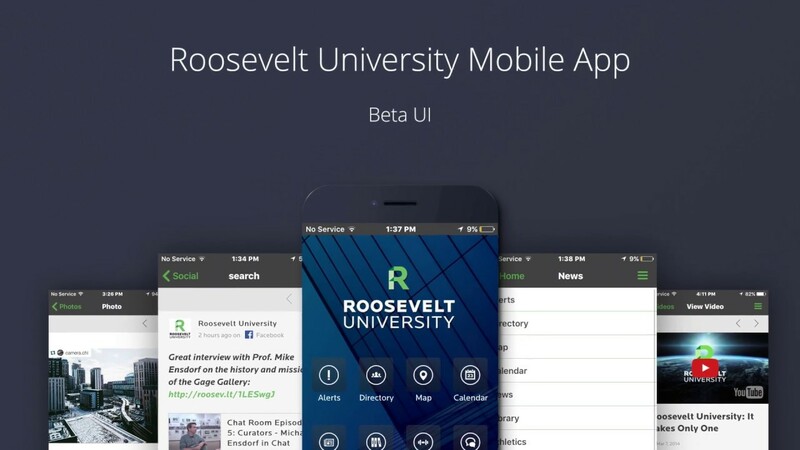 The application icon was designed for both iphone and android devices featuring a 3-D version of the green “R” that is Roosevelt University’s logo). 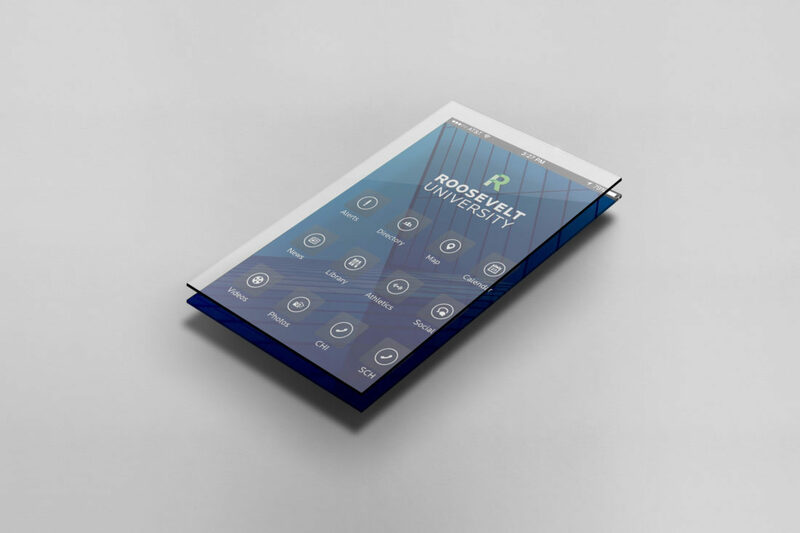 This mobile application was designed and developed through the use of the Kurogo platform. 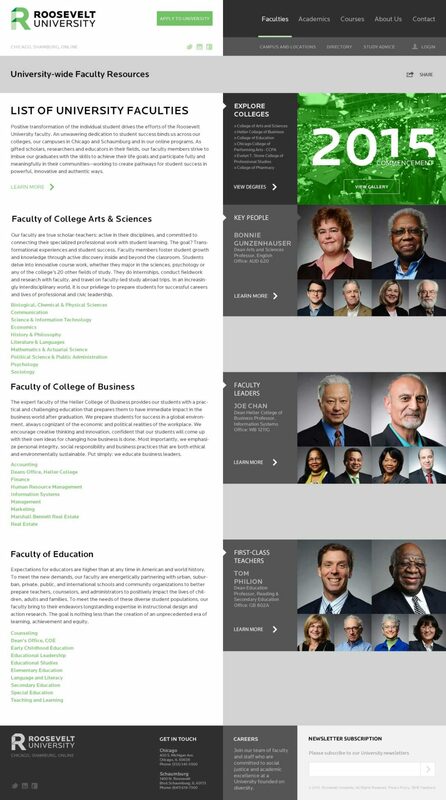 Web design overhaul design of Roosevelt University’s official website. 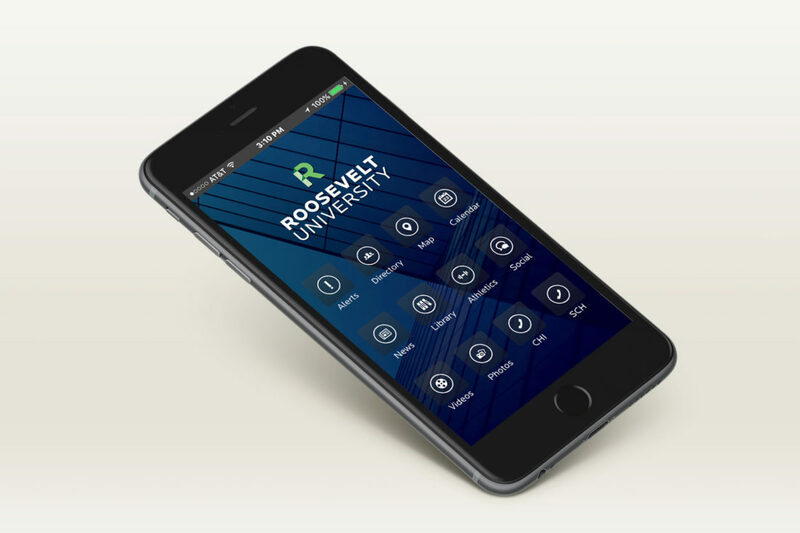 Featured, is an animated presentation of Roosevelt University’s finished mobile application (made with After Effects).